This is the home page for the Aeroflight guide to the aviation museums and collections of the world. Locations not open to the public are NOT covered. 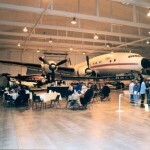 For this survey an aviation museum is taken to be any location or institution open to the public that has one or more complete aircraft, aircraft wrecks or major parts of an aircraft. Helicopters, micro-lights and gliders are included but balloons and airships are not. A wonderful little museum and a most handsome gentleman who runs it. I’ve spent some time in there last week and I am still very impressed. The garden is full of wellington memrablia. Truly worth a visit. It is with sadness that I have to inform you this museum closed earlier this year. All exhibits have been transferred to the Stratford Armouries Museum. 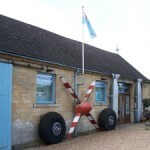 See http://www.thisisgloucestershire.co.uk/news/Final-flight-famous-Cotswolds-aviation-museum/article-3098851-detail/article.html for more details.